Having a few extra days before flying back to Canada I decided to take advantage of Europe’s famous Ryanair flights and fly out to Porto, Portugal for a few days. The flight is only an hour long and a bargain at what equates to about 50CAD. The catch being you can bring a carry-only with the option to upgrade to checked luggage, which doubles the cost of your ticket. However, I’ve found those who board last (which I usually opt for to decrease the amount of time I have to spend in the cabin) will have their luggage checked, as they run out of room in the overhead compartments and you needn’t struggle to balance and arrange your suitcase, while the passenger behind you insists on sneaking by. Upon checking into my AirBnb I had planned to explore Porto. However, I was surprised to find myself rather sullen. I recall lying in bed, missing all my new friends and longing for someone to talk to. Being a natural introvert, I’m quite gifted at spending time with myself. As such I was taken aback by how lonely I felt, suddenly being left in such a quiet environment and having to keep myself occupied with my own thoughts. After some time however, I was able to convince myself I was being silly and missing out on the opportunity to see a new city and eventually dragged myself out to the lively streets of Porto and wandered around until dark. 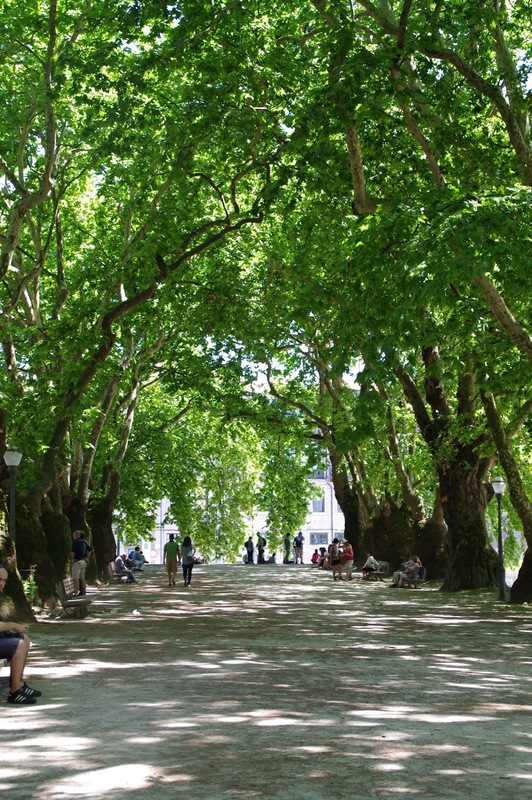 It didn’t take long for me to forget my worries as Porto has much to see. 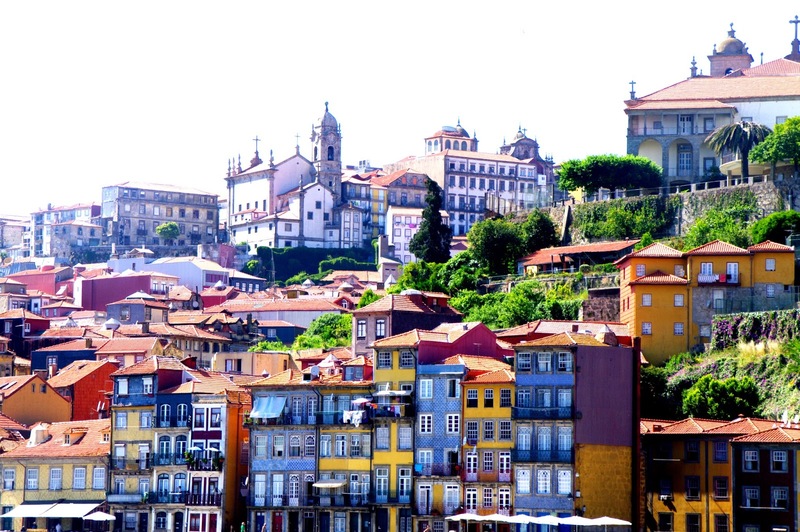 Porto is small, easily accessible city. I was able to make my way around the city solely on my own to feet, aside from taking the train to and from the airport and out to Braga on the second day. I stayed in a lovely little apartment downtown on a tiled pedestrian street. 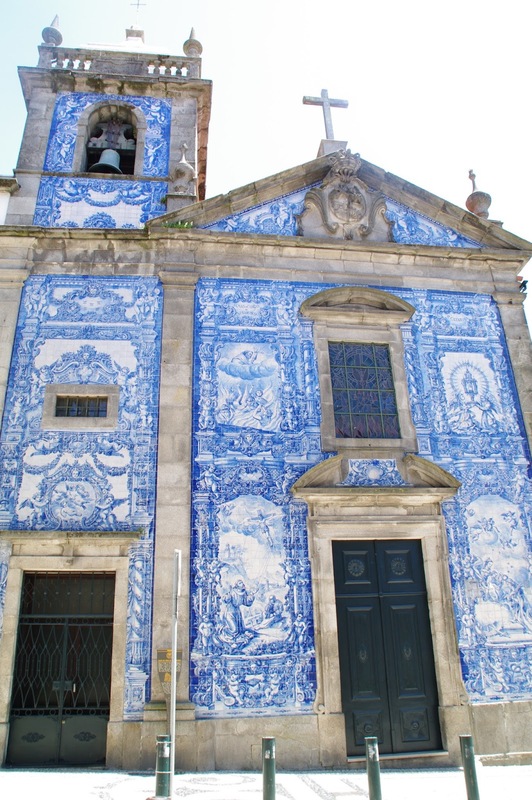 The beautifully azulejo tiled church above was only a thirty second walk down the street from my accommodations. Porto is one of the most beautiful cities I’ve seen. 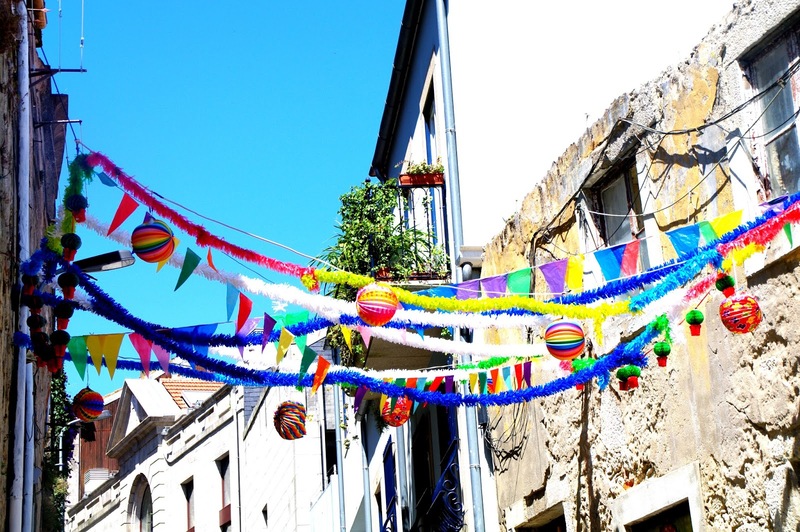 The city landscape is saturated with bright colours, including orange terracotta roofs and bunting strung up over little cobble stone streets. As well, the people are some of the loveliest, happy people I’ve met. I went to Portugal knowing no Portuguese and was lucky to find that nearly everyone was fluent in English, and quite kind and forgiving about my lack of their native language. 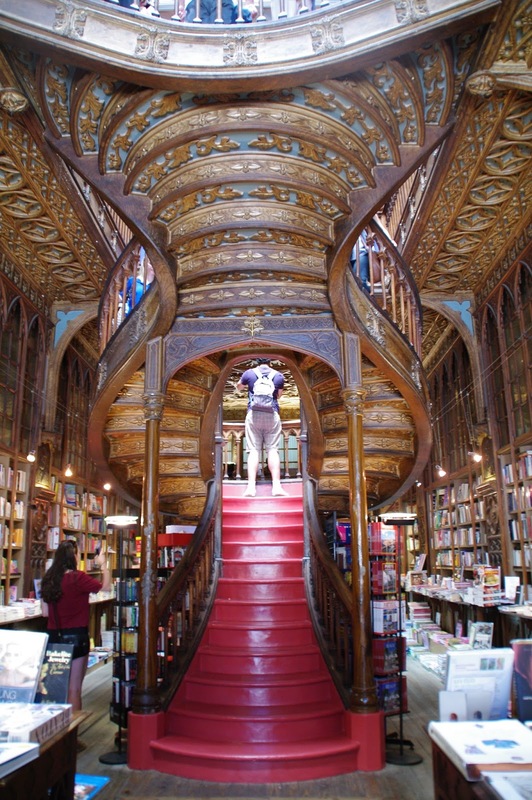 Livraria Lello was one of the prime reasons for my choosing Porto as a destination to travel to in Portugal. This beautiful bookstore, modest from the outside (I walked right past in the first time) is stunning. Unfortunately, as can be seen in my photographs it is a tourist destination and thus very difficult to navigate around and get any nice shots without interference. I felt quite guilty honestly, as I wandered around taking in the beauty of the store, with no intention of purchasing a book written in Portuguese. I had read prior that photographs weren’t allowed inside, however it appears this rule no longer applies as everyone had a camera out, including myself. 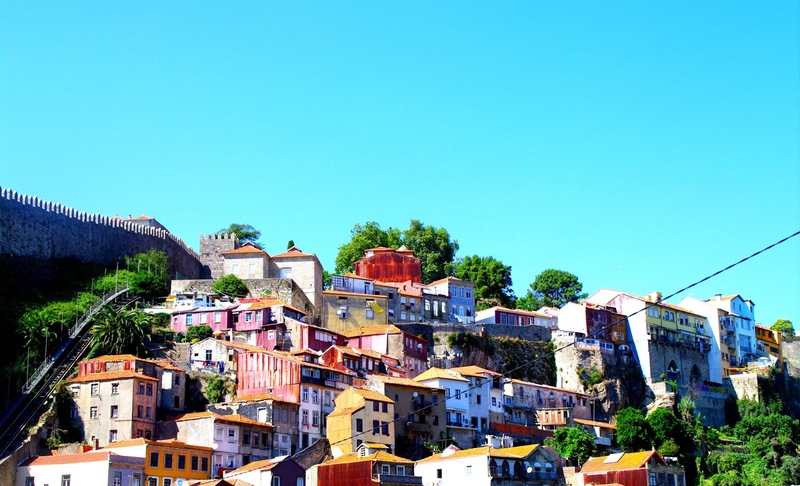 Ribeira, the bohemian neighbourhood on Porto’s river, Douro is secretly a fairytale land. 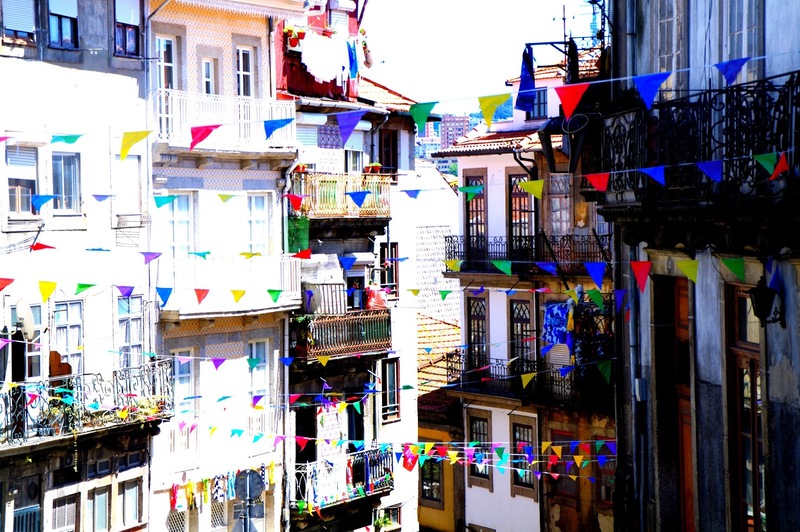 The incredibly steep cobbled streets are splashed with colourful apartments and stacked with wrought iron balconies. 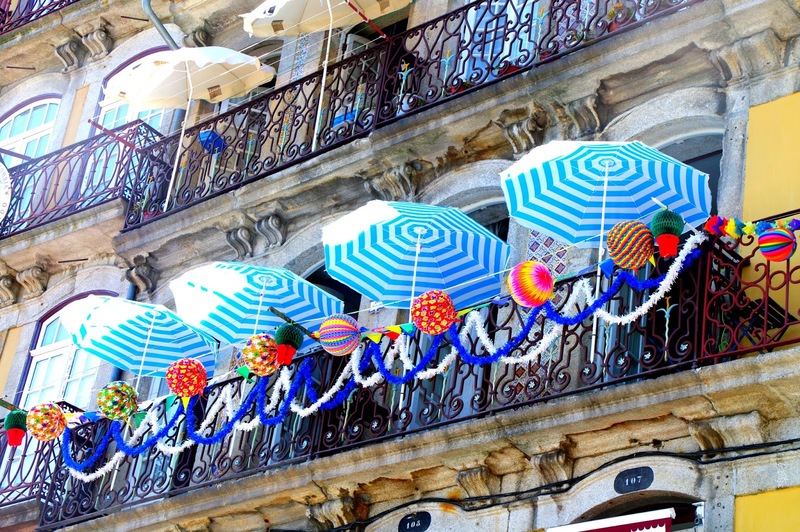 Hanging overhead is more whimsical bunting and clothing lines drying dresses in the Portuguese heat. I’ve never seen anything like it. This area quickly became one of my favourites. The Pont de Luís over the Douro was built by the apprentice of the architect responsible for the Eiffel Tower. From the other side of the bridge Porto’s unique beauty can be taken in, in all it’s glory. Following an ice cream cone and a wander through the market along the Douro at the bottom of Ribeira I decided to head back toward my accommodations. I began walking up a set of steps, which ended up being the longest, steepest set of steps I’ve ever ascended… in 45º C heat none the less. 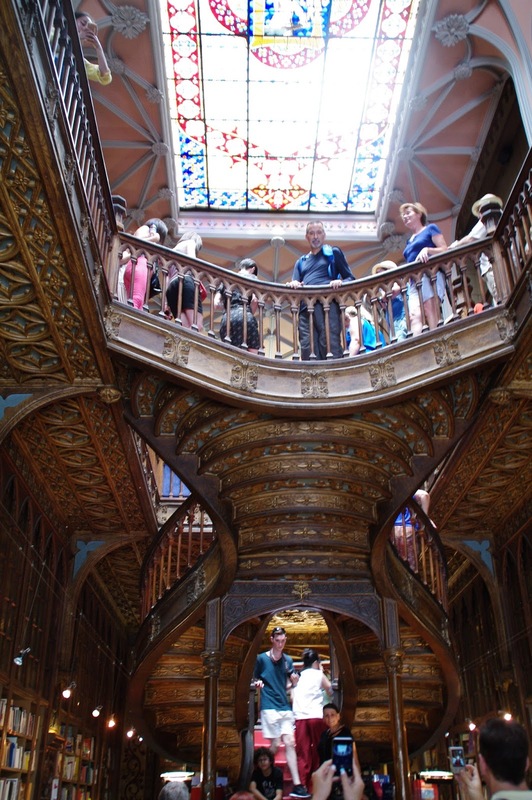 The people of Porto must have exquisitely toned calves. I love european train stations, there is something magical about the people coming and going, the chimes of the departing trains, the old world air of trains. I was positively gutted when the Ontario Northlander service was cut. 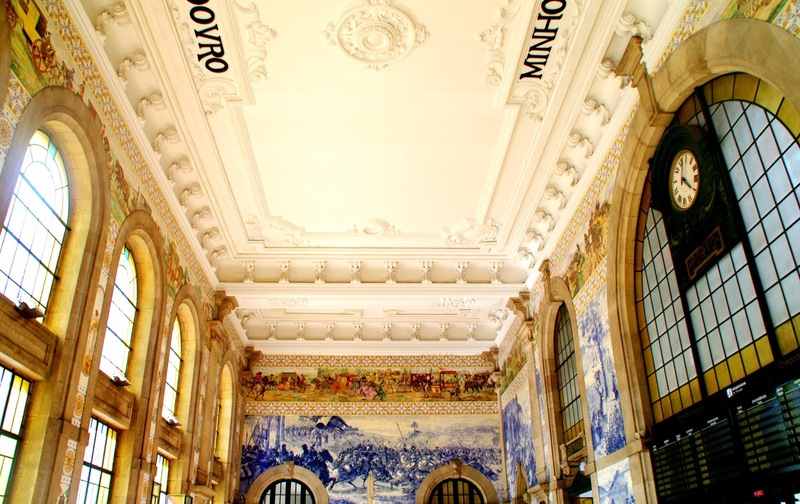 Porto’s São Bento station though, is an absolute work of art. 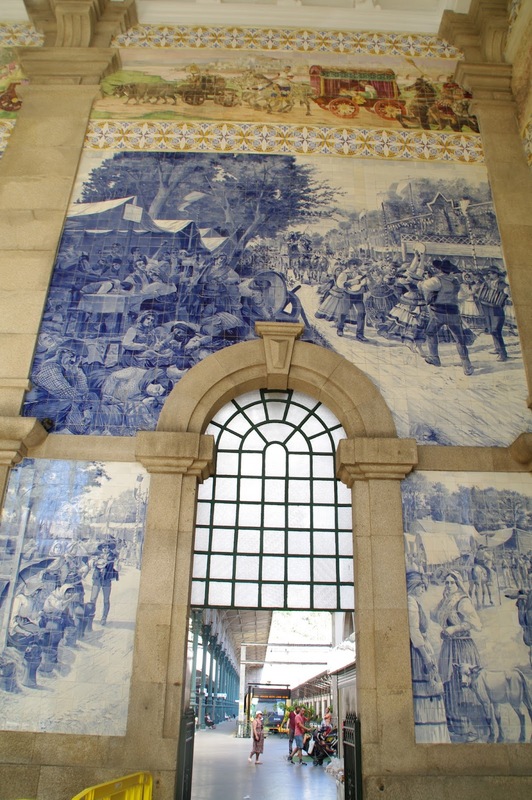 The entrance walls are covered top to bottom in mosaic tiles, depicting emotive scenes. The actual platforms are partially inside, with openings in the roof letting in fresh air, and a view of Porto’s iconic colourful houses. This was my final stop before picking up take-out and retiring for the evening. One of my favourite foods, Piri Piri chicken is actually of Portuguese origin, so naturally I couldn’t leave Portugal without having authentic Piri Piri. The seasoning is derived from hot South African Piri Piri peppers (I actually had a chat with a Spaniard, who explained how the South African pepper had been adopted by the Portuguese). I had read rave reviews from Pedro de Frangos and I can attest both the chicken and fries are delicious and lovely service! I arrived home around dark to get some rest for the next day and even treated myself to a Coke, which I never drink anymore, I don’t know what came over me.